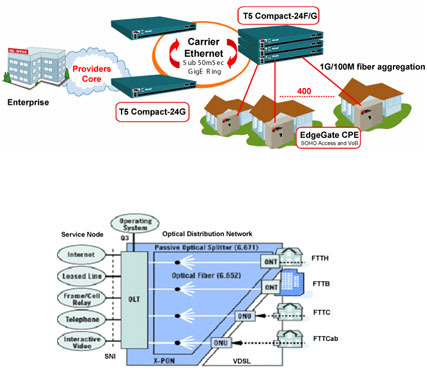 FTTx - Formerica Optoelectronics Inc.
Due to the demand of bandwidth, the FTTB (Fiber to the building) has extended its coverage to FTTC (Fiber to the curb) and FTTH (Fiber to the home) applications. Triple play has been implemented to combine the voice, data and video in the GPON (or GEPON) products. With the implementation of FTTx networks, end users can enjoy broader-band Internat, voice over IP solutions, video on demand, HD (High-Resolution) TV and video service, broad-band wireless applications, and other digital home services. Optical transceiver manufacturer founded in 2000, Formerica is a technology leader of optical solutions for FTTX applications. We promise you light and speed up your pipe!